“When I Started to Look Deeper“ is a series of personal stories by Saskatchewan people. Each author shares a moment that inspired them to look beyond the symptoms of global issues – such as hunger, health, education, and conflict – in order to find the root causes and work for more sustainable solutions. This series is a companion to SCIC’s LookDeeper online resource and campaign. When I was in elementary school, my family and I had a morning ritual. Waking up later than we should have, Mom frantically congregated me and my sister in her car, drove us to the 7 Eleven, and urged us to grab change from her wallet. We would each run in and buy a Schneider’s Lunchmate and a No-Name puffed-wheat square – enough to hold us over until our drive-thru dinner. In grade 7, the ritual abruptly ended. Uncle died after battling cancer that year, and Mom suffered depression. With whole foods and supplements, a naturopathic healer helped her function again. As a welcomed consequence of Mom’s healing journey, we reformed our diets and discovered new family rituals: growing our own food, buying organic, and choosing to cook at home. I was so inspired by this change that I thought I might be a naturopath myself one day. I’d catch myself dreaming about my future as a healer, picturing my clients and imagining their stories. Little did I know that this new desire to heal would lead me on a different journey. What started as an innocent search for carrot cake recipes propelled my turbulent and intense fascination with the workings of our global food system. Starting to follow plant-based blogs at that time, too, I came across This Rawsome Vegan Life written by Emily von Euw in BC. While other food bloggers were blissfully writing from their peachy perspectives of privilege, Emily was diving into the harsh realities of our food system. Although she was privileged herself, she recognized that her experience as a white, Canadian, middle-class, and educated urbanite enabled her access to good food; whereas, others of different circumstances weren’t so fortunate. I took a second look at my community and realized that plenty of people were already healers (and doing their jobs remarkably well), yet there was still significant poverty, malnourishment, and food insecurity in our local and global communities. I realized that I needed to look deeper if we were going to address the root causes of these injustices. So, instead of being a naturopath and healing individuals, I decided to take a shot at healing systems. Specifically, the unjust systems that have created a generation of house-poor and debt-shackled families, lacking either the money to access good food* or the time to learn how to grow it themselves; systems that intentionally confuse and miseducate us about what “healthy” even means. The first step was learning about the root cause(s) of our broken food system, rather than focusing only on the symptoms. In the past few years, I’ve been slowly uncovering some of the issues here in Canada: the rising costs of food, the increase in diabetes (especially among aboriginal peoples), the soaring rates of cancer, and unequal access to good food to name a few. As I spent this past summer working on SCIC’s Ethical Eats campaign, I uncovered even more of the internationally-scaled systems of injustice that concern food. Child slavery. Deforestation. Soil degradation. Land grabbing. Not to mention the realities of farmers in the Global South, who are tragically vulnerable in the face of domineering transnational national corporations and a massive international food industry. I began to realize that looking for the source of all these systems was going to be ugly – that the root was going to be disturbingly enormous. It was going to resemble the cancerous roots of those three-foot-tall weeds, the ones that require endless, strategic tugging and digging to remove even a single branch of them. After learning alongside others at Generating Momentum** this summer, I’m now convinced that I have found the enormous, cancerous, hard-to-get-at weed. It’s a central problem in our Canadian and global food system, which is deeply and strongly rooted in our human history: colonization. In the same way that Europeans devalued indigenous traditions and lifestyles as a whole, they devalued and acculturated indigenous food-related traditions. In fact, anglicized and Franco-fied food has become so predominant in Canada that it has affected the foods of nearly every culture that has since settled here. For example, we rarely see traditional Chinese dishes in Canada. Instead, we see modified versions like wheat- and oil-heavy chicken balls. When we visit TacoTime or Mucho Burrito, we aren’t eating traditional plant-rich Mesoamerican food. We are eating a cheaper, meat-laden and cheese-heavy adaptation. With food securely under the wing of colonialism like this, it was industrialized and globalized in nearly the same way everything else has been in the past century. It’s become a commodity. As a result, we’ve devolved into a system which believes that good, healthy food is a privilege for the rich, and that it’s sufficient enough for the poor to receive scraps. “When you walk into a grocery store, you can’t tell that there’s a problem,” says the narrator. I’m watching a documentary about Calgary’s local food movement this past summer. Speaking over-top images of stocked food shelves, the narrator continues: “There’s bounty. The shelves are overflowing, and it’s easy to think that everything’s okay.” This image has stuck with me. The not-yet-ripe bananas don’t seem loaded with pesticides, picked by the hands of workers who were unlikely paid a fair wage. The triple-washed spinach, perfectly green and free of both bugs and dirt, doesn’t appear to come from drought-ridden land, perhaps tended by temporary workers. For me, that was the first step: learning how many theatrics go into making our food system seem perfect. Then next, discovering all of the ways in which it’s not. I guess now, I’m deciding what exactly I’m going to do about it all. The issues and the systems are large, but I am slowly finding the ways that I can influence our current systems through my daily life, as well as support and create new ones that are providing healthy, accessible food for all our communities. As an aspiring architect, I’m interested in what are referred to as “vernacular buildings” – buildings suited for local conditions, and designed and constructed with local materials. As a place-based style, it’s both practically and culturally satisfying. I believe that something similar needs to happen with our food systems, too. We need to reconnect our food with a sense of place – producing locally and respecting the knowledge of those who survived on this land a millennia before us, and who continue to do so. Although at first glance working locally may not seem adequate to address the global scope of our food issues, I truly believe that habitual actions made in our globalized world have global consequences. *I define “good food” as that which is produced, distributed, and eaten in a way that builds and supports healthy, resilient relationships. These relationships might be between the person and the food that they’re eating, the farmer and the natural ecosystem, or a food business and its customers, for example. **Generating Momentum is the annual weekend summer camp for Saskatchewan’s youth activists, hosted by SCIC and the Regina Public Interest Research Group (RPIRG). Taya Triffo is a philosophy student at the University of Regina. As the volunteer Food Systems Director for Engineers Without Borders Regina, she’s working to address the root causes of poverty, malnutrition, and food insecurity, both on- and off-campus. 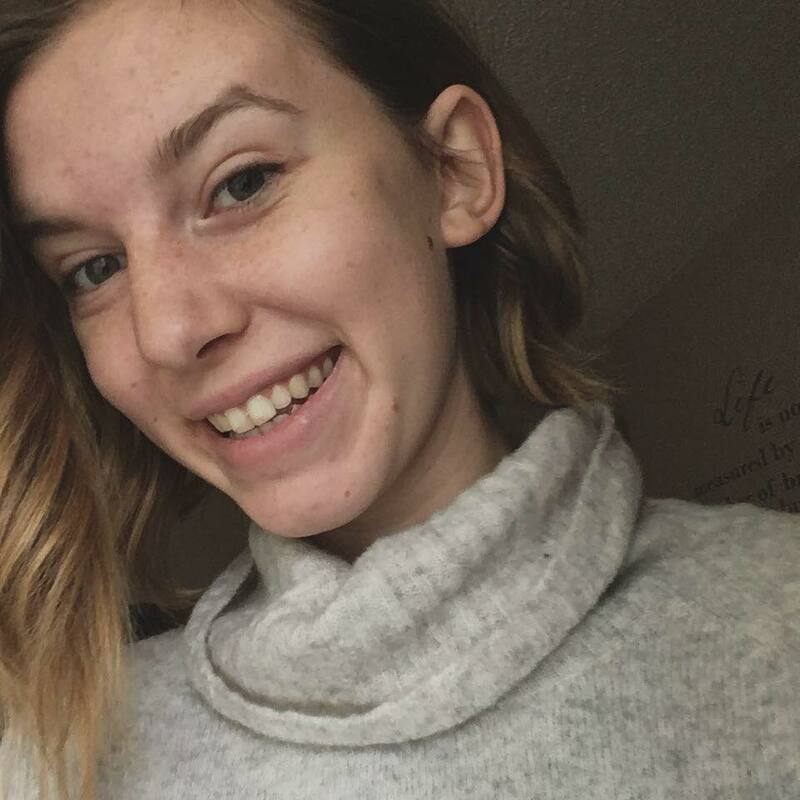 In 2017, she hopes to begin a degree in Community Design, with the goal of returning to help make Regina a vibrant, sustainable, and just city.